This work brings together insights from a scholarly analysis of the language and the cultural images Paul used to so forcefully and effectively communicate with the church at Corinth – and by extension to readers through the ages. Pastors and seminarians will especially appreciate the very thoughtful sermon suggestions appearing in concluding paragraphs. The result is a clearer understanding of the challenge to weigh our beliefs and actions by God's standards rather than by worldly criteria. 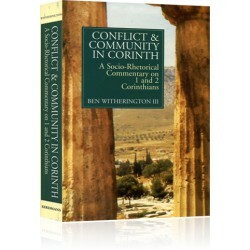 In this first full-scale socio-rhetorical commentary on Romans, you will gain fresh insight from reading the text of Paul's epistle in light of early Jewish theology, the historical situation of Rome in the middle of the first century, and Paul's own concerns as demonstrated by his writing style. Giving serious consideration to the social background, and Romans' methods of reasoning, allows you to hear Paul on his own terms. 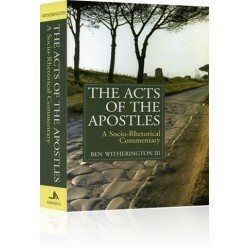 This ground-breaking work also features a new, clear translation of the Greek text. In addition there is detailed attention to major theological and historical issues, including the question of the relationship of Acts to the Pauline letters, the question of how the early church grew and developed, the relationship between early Judaism and early Christianity, and the relationship between Christianity and the officials of the Roman Empire. Written when the fledging Christian faith was experiencing a major crisis during the Jewish war, Mark provides us with the first window on how the life and teachings of Jesus were presented to a largely non-Jewish audience. 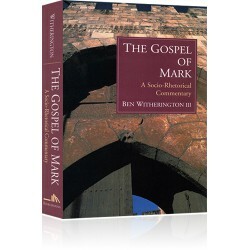 According to Dr. Witherington, the structure of Mark demonstrates that this Gospel is biographically focused on the identity of Jesus and the importance of knowing who he is – the Christ, the Son of God. This finding reveals that Christology stood at the heart of the earliest Christians' faith. It also shows how important it was to these earliest Christians to persuade others about the nature of Jesus, both as a historical figure and as the Savior of the world. 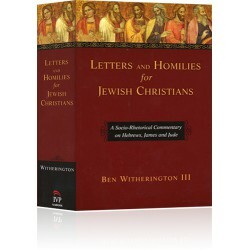 Letters and Homilies for Jewish Christians innovatively analyzes the texts of Hebrews, James and Jude in their first century cultural setting. Dr. Witherington sheds fresh light on the documents and their character and importance as sermons to early Christians who were still heavily influenced by the Jewish society in which they lived. Throughout, the focus is on the unique insights brought about through socio-rhetorical analysis that either reinforces or corrects conclusions gleaned from other approaches. If you have purchased Letters and Homilies for Jewish Christians as part of the Messianic Collection, you qualify for an additional discount on the five-volume collection. Please call Customer Service at 1-866-722-4253. Throughout this series Dr. Witherington employs “Bridging the Horizons” sections to point to the relevance of the text for believers today. 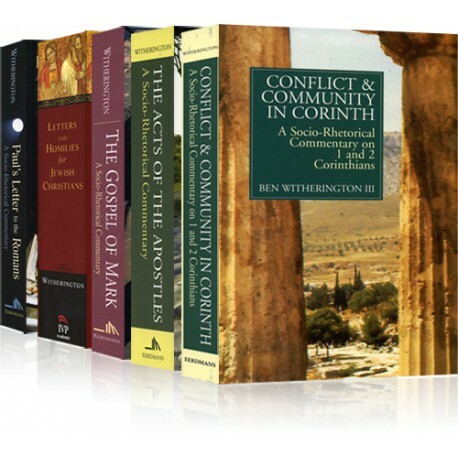 If you preach or teach, these volumes offer unique applications for lessons and sermons. 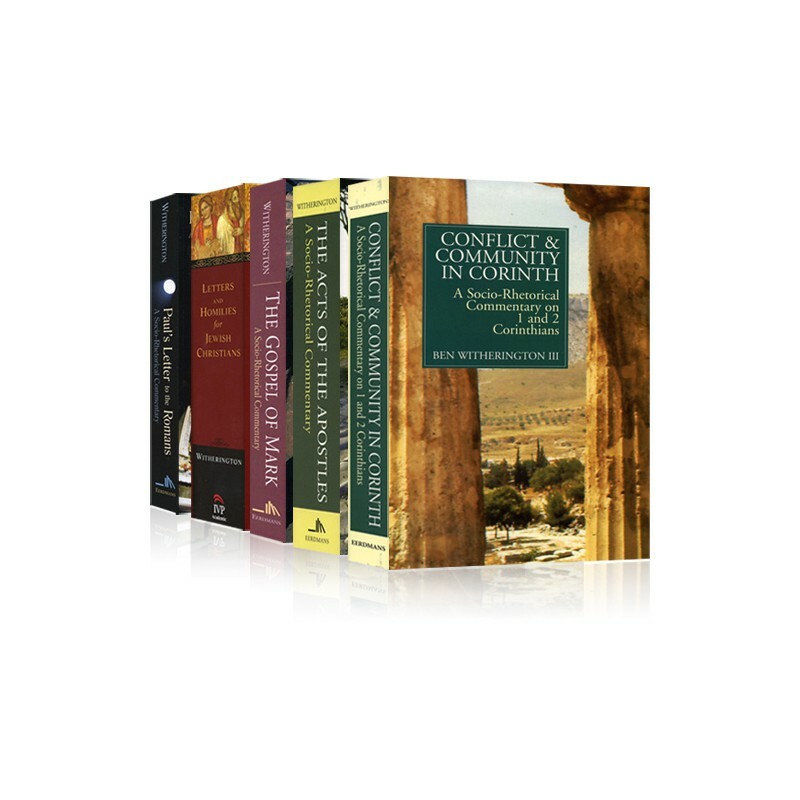 This work brings together insights from a scholarly analysis of the language and the cultural images Paul used to so forcefully and effectively communicate with the church at Corinth – and by extension to readers through the ages. Pastors and seminarians will especially appreciate the very thoughtful sermon suggestions appearing in concluding paragraphs. 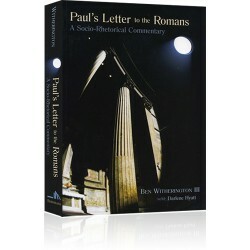 In this first full-scale socio-rhetorical commentary on Romans, you will gain fresh insight from reading the text of Paul’s epistle in light of early Jewish theology, the historical situation of Rome in the middle of the first century, and Paul’s own concerns as demonstrated by his writing style. Letters and Homilies for Jewish Christians innovatively analyzes the texts of Hebrews, James and Jude in their first century cultural setting. Dr. Witherington sheds fresh light on the documents and their character and importance as sermons to early Christians who were still heavily influenced by the Jewish society in which they lived.